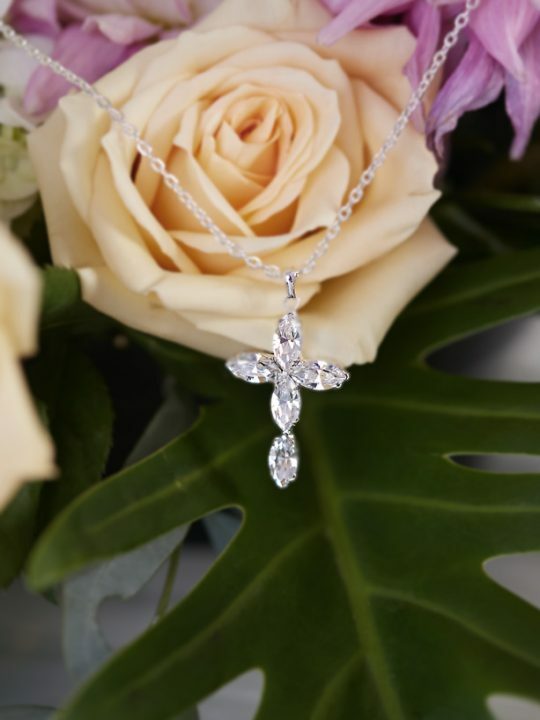 Chic and timeless style never goes out of fashion, This classic necklace will compliment the simplest of dresses and compliment a beaded bodice in pearls and diamonds. The Chic Bridal Necklaces are for the free at heart. Just because you’re getting married doesn’t mean your wild ways have to end. Getting married is one of the wildest adventures of them all. Celebrate your commitment with an exciting honeymoon to exotic Africa and get to know your spirit animal on a personal level. Or travel to New Zealand and go bungee jumping and black water rafting. So start with this necklace and nothing will stop the two of you from living a life of adventure! How Lovely. Hello Lovers has designed the Chic collection to be mix and match. Choose the pieces that best represent the bridal look you want to achieve. For a traditional bride maybe choose the combination of the chic bridal bracelet and the chic wedding necklace. Or for a more Bohemian bride choose the chic bridal anklet and chic wedding earrings for a boho look. Size: Center piece 2.5cm, length 51cm including 5 cm of adjustable chain links. Packaged in our signature pink silk Hello Lovers box. Wear with the Esperace wedding dress or a strapless beaded bodice dress. This Chic Bridal Necklace does have an adjustable chain at the back so you can adjust to the length perfect for your neckline. The Hello Lovers Collection of vintage lace wedding dresses and unique wedding jewellery. If a piece is out of stock, Hello Lovers wedding jewellery usually takes 4 weeks to be made in our Melbourne studio before it is shipped. For international orders please allow 2 weeks for shipping. Australian designed. Australian made. Naturally Australian. Follow Hello Lovers on Instagram!